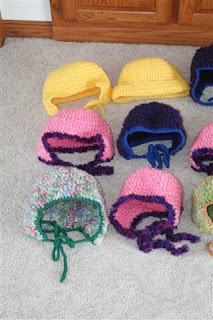 As I have mentioned before in the posts about my sibling's hats, my Grandpa asked me to make a bunch of hats for children in an orphanage in the mountains of Mexico. 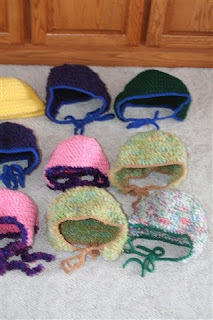 I bought some yarn, and used up more of what I had, and I ended up making 12 hats. They are all the same pattern, except for one. 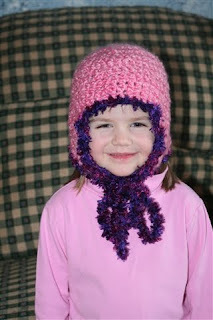 The pattern I used for most of them is a kids earflap pattern, which can be found here. It works up very quick, and I enjoyed making them! 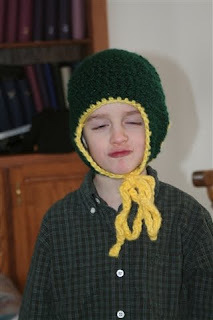 I just had to change the pattern a little, by taking some of the deceasing out. 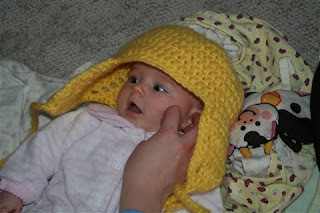 The other hat, which is yellow, is the same except, I kept going instead of putting the earflaps on. Below are bunch of pictures. 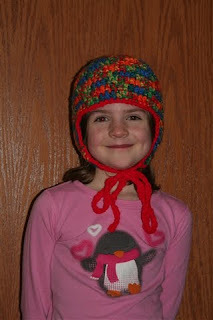 My little sister Rachel - I was trying the hats on my siblings as I got them done, so I decided to try one on Rachel. 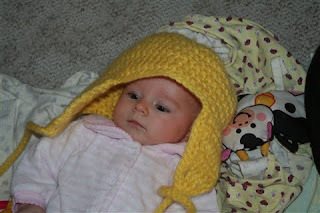 This was the first hat I got done, so the picture was taken awhile ago, but they picture of her on the previous post was taken the day I posted it. Rachel is just over 3 months old in the picture here. I know I already posted this picture, and the two below this, but I thought I would post them again because I used the same pattern. This is Rebekah. 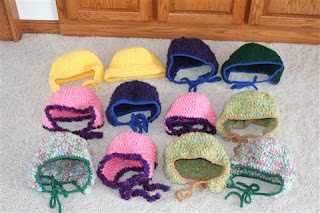 Hi I love your hats and was actually more wondering about the orphanage in Mexico? 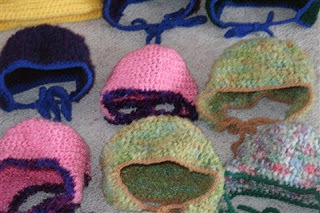 I would love to knit some things up for them, does your grandpa have any information on them so I could donate some things as well?